For a fun time with family and friends, what could be better than arranging a buffet where everyone chooses the food they like best. ILE DE FRANCE® cheeseboards can be a real meal in themselves. – Fruit brochettes for autumn and winter: Choose a cheese and combine it with fruit such as apple, grapes or figs. – Fruit brochettes for spring and summer: These work better if you combine your cheese with fruit like melon, watermelon or apricot, garnished with a few basil leaves. – Sweet toast: Prepare both hot and cold toast (your guests can then choose), and in addition to the ILE DE FRANCE® cheese, you can offer fig or strawberry jam. – Savory toast: This recipe works very well with savory sauces such as basil pesto accompanying dried tomatoes or salmon and cucumber. 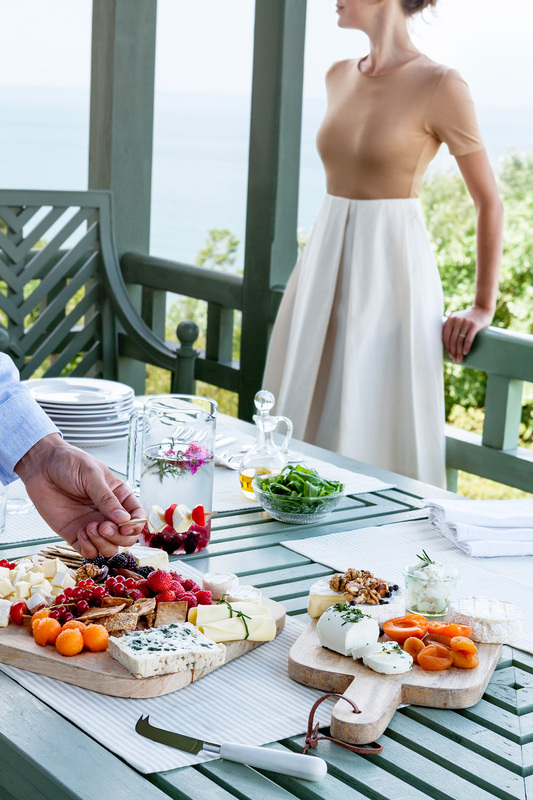 – ILE DE FRANCE® cheeseboard: last but not least, offer your guests an ILE DE FRANCE® cheeseboard on its own with a variety of different breads.